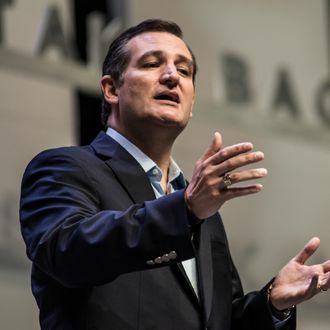 Sen. Ted Cruz' "electability" argument is all over the place. For a good long while, U.S. Senator Ted Cruz has answered questions about how he expects to win a general election without “reaching out” to constituencies beyond his conservative GOP base by citing the apparently made-up figure of “54 million evangelicals” who “sat out” the 2012 election and are presumably champing at the bit to vote for a True Conservative instead of those RINO surrender-monkeys the party keeps putting up. The number is not real convincing, insofar as it probably includes a lot of African-Americans, lightly observant moderates, apolitical folk, and children. But at least Cruz had a clear argument for how to get from where he was to the White House. Washington thinks the core of our base is very different from who they are. The core of our political base are the Reagan Democrats. They are the blue collar Catholics across the Midwest and up in New England. They are union members, gun owners, pro-life, strong national defense. They are truck drivers and mechanics and electricians and plumbers and schoolteachers and nurses and waiters and waitresses. They’re working men and women who are getting hammered by the Obama economy. And they’re tired of the Washington elites who are not fighting for the working men and women in this country. That’s how we win in November of 2016. This statement falls somewhere on the spectrum that leads from an off-the-top-of-the-head assertion right on down to a word salad. How many “Reagan Democrats” are still alive? How many of them are likely to have voted for Barack Obama in the last two elections? And how many of them who have been “hammered by the Obama economy” blame their troubles on Cruz’s customary targets like Obamacare or Planned Parenthood? 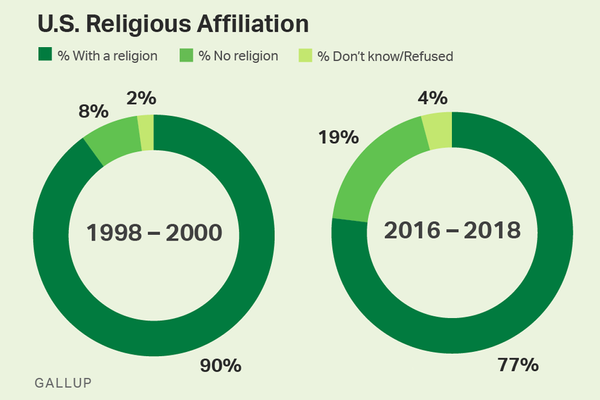 Perhaps there’s some overlap between “Reagan Democrats” and “missing evangelicals,” though relatively few “blue collar Catholics across the Midwest and up in New England” identify as Protestants of any hue. It’s entirely possible that Cruz is so determined to “draft” (to use the NASCAR and/or cycling term for letting someone in front of you in a race pull you along in his or her wake) behind Donald Trump that he’s now claiming the Donald’s white, working-class fans will lift any congenial Republican to victory. But it’s yet to be proven that Cruz can inherit these voters, or that they won’t either support a Trump independent bid or stay home — or even become attracted to a Democratic “populist” message. Most likely, Cruz doesn’t think he needs a convincing electability argument, just some kind of argument that doesn’t involve minority voters or young people or other targets that would not pass the laugh test when associated with his savage “base”-oriented message. When it comes to reassuring conservative voters who are still baffled at how Obama won the last two elections that their new champion knows how to win, one imaginary constituency of Reagan Democrats is a good as the imaginary evangelical army Cruz usually calls forth.